There is a reason why you are not as far along in your career as you would like to be… And it certainly is not because you haven’t been engaging in enough positive thinking. Here is a newsflash for you. It takes five compliments just to override one single negative criticism. And unfortunately, it is not other people who are your greatest foes. It is yourself. Yes, you are the primary Dave-Downer, who is making your success difficult, because you are always second guessing your decisions, worrying if you are doing the right thing, and fearing your own failure. There is one thing that can change all this, and it is as simple as stopping these negative thoughts from entering your brain stream. First off, you need to boycott the word, afraid. ‘I am worried about my job interview tomorrow’, ‘I’m too nervous to ask for a raise’. There is nothing in this world that is more scary than wasting your time being afraid of the things you think you’re going to fail. If you fear failure so much–then you have already failed, so don’t do it. Take the word, can’t, and shove it where the sun don’t shine. ‘I can’t finish this project by myself’, ‘I can’t find a job in this market’. Did you know that your body is listening to everything you say, and if what it constantly hears, is that you can’t do anything–well, then eventually it will just quit trying. Don’t handicap your success by sabotaging your ability to achieve greatness. You can–if and when you decide to. Stop using the word, nothing, to describe the things that you don’t want to face. 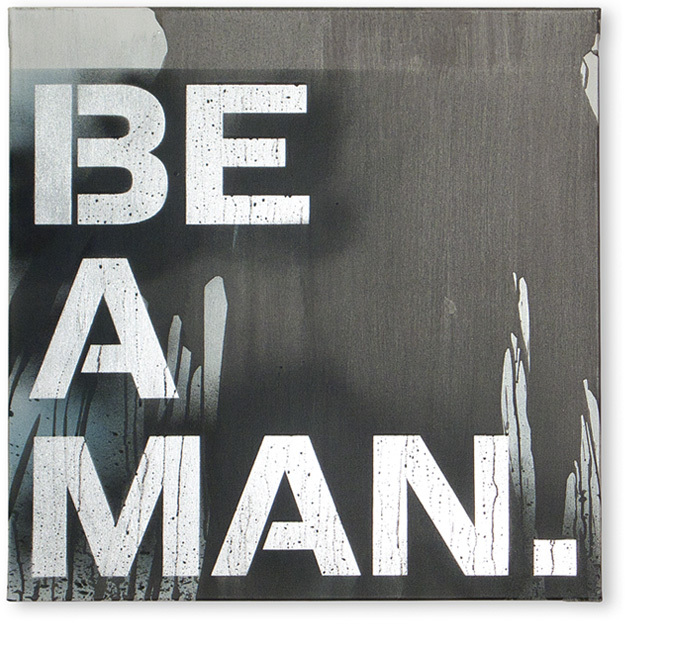 Be a man, and say what you really feel. ‘There is nothing bothering me’, ‘I can’t think of anything more to add to this conversation’. 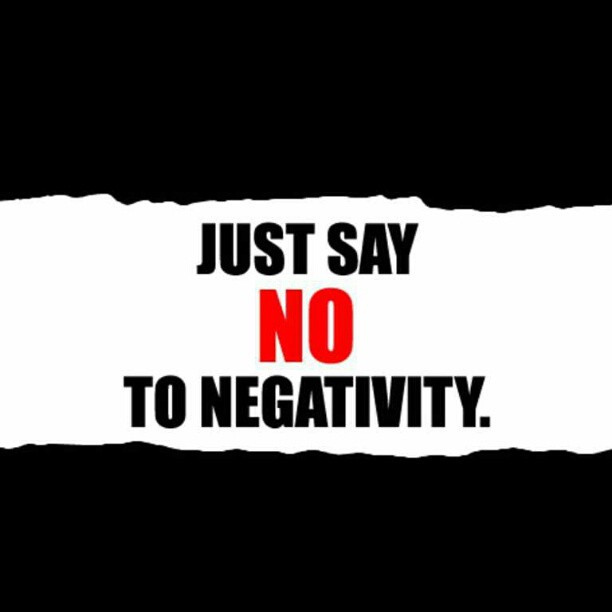 Every time you mask your feelings with a blanket of negativity, you sabotage success; you don’t get what you want, and you end up resenting the world because it can’t read your mind and hand everything to you on a silver platter. There is no silver platter, unless you reach out and take it–nicely (and say, thank you). Quit contemplating the word, quit. ‘If they don’t recognize my talents, I’m going to quit‘. Did you know that the majority of people can’t quit the things that are really bad for them? However, when it comes to the things they really should be working hard at (career, relationship, health), they are more than willing to give them up, rather than face the possibility of failure. Never say the word, no, unless you are turning down a dollop of mayonnaise on your grilled bacon and cheese sandwich. ‘Should I ask her out? No, she’ll turn me down’, ‘Should I ask for that promotion? No, I’m not good enough’. Research suggests that even the visualization of the letters, N-O, has enough influence over your emotions to raise your blood pressure, and dump a bunch of stress-related hormones into your blood. This will only succeed at making you unable to think, speak, and act effectively. Finally, you should always avoid directing negative words towards other co-workers in order to make yourself look (and feel) better. The reason is, when you give negative feedback to another person, it does not make you stronger by making them weaker. It creates a circle of negativity, that will eventually come back around to you. So, don’t worry about blowing smoke up your own, and everyone else’s arse with positive thinking–Just quit saying, thinking, and breathing negativity.